We are a leading Exporter of capacitive proximity switches, magnetic proximity switches, inductive proximity switches and optical proximity switches from Mumbai, India. Capacitive Proximity Switches for sensing all metallic objects. We are upcoming supplier and distributors of wide range of capacitive proximity switches/sensors well designed for sensing all metallic objects. Our professional experts accurately design and develop exotic Series SW 505 capacitive proximity switches for sensing the wide range of material. These high-quality switches are manufactured and designed to deliver excellent performance and helps in the detection of numerous non-metallic objects where inductive type switches can not function. We provide a series of capacitive proximity switches that are used in various industrial applications as food/grain /confectionery, liquid level, sand/bulk material level, plastic granules parts, paper rubber and glass bottles/tins in packaging. Magnetic Proximity Switches for sensing magnetic material objects. We are reputed and named distributor offering two broad categories of Series SW 705 magnetic proximity switches/sensors for sensing magnetic material objects. These switches are well designed including the variety of switches like position sensing switches with Reed element and 2-wire / 3-wire magnetic pick-up sensors. We provide best quality switches in several shapes and sizes. Moreover, our expert team using quality raw material and advanced design tools for the manufacturer of tubular models available in brass or ss enclosures in sizes like M12, M18 and M30. Moreover, these switches are designed to incorporate a hermetically sealed sensitive reed element and are used for position sensing applications where the object should necessarily be a magnet. The output of these switches is a potential free contact and can directly switch external load. These switches are of best quality and technically tested and approve any application or use. We are also offering special models of latching type switches for direction sensing applications. Inductive Proximity Switches for sensing all metallic objects. 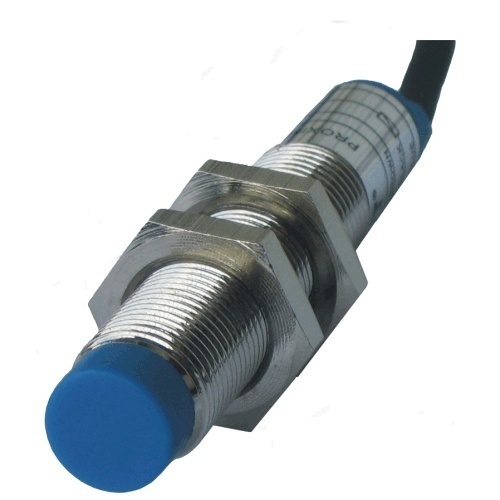 We are leading manufacturers in the market offering a distinguished range of inductive proximity switches/sensors specially designed for sensing all metallic objects. 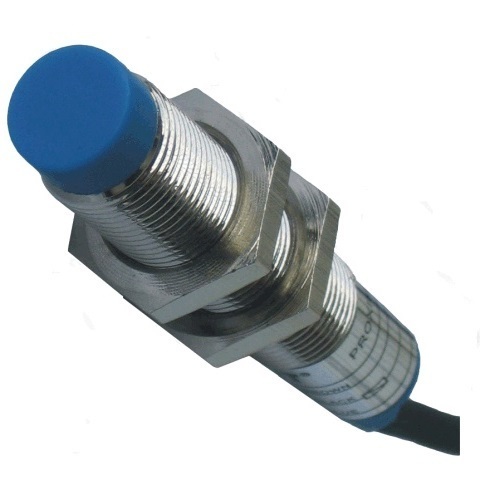 We provide best quality inductive proximity switches in diverse shapes and sizes. These technically tested and approved series are designed to be best used for various applications in applications in machine tools, foundries, rolling mills, automobiles, textiles, pharmaceuticals and material handling systems. These switches work on 'damped oscillator' principle, and while operation, a frontally radiated electromagnetic oscillating field is projected from the sensing face. Any type of electrically conductive material entering this field will certainly cause damping of the oscillation, and the change is easily detected by the inbuilt sensitive reliable electronic circuit. The circuit is later converted into an effective output signal. 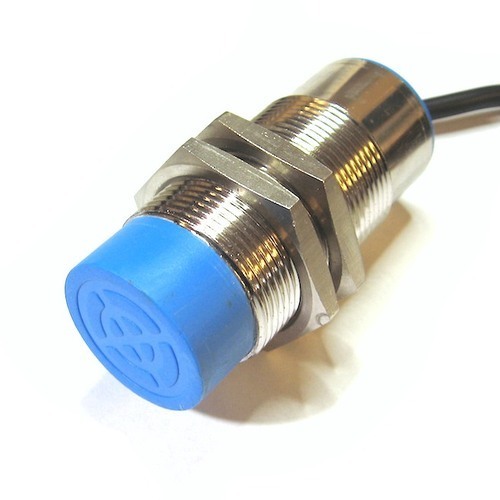 We provide superior quality inductive proximity switches that are trusted, durable and sensitive and used in various industrial use and applications. Optical Proximity Switches for Sensing Non-Metallic And Metallic Objects. 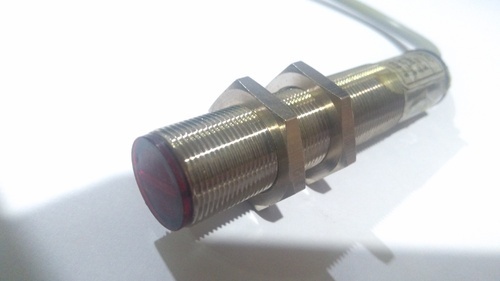 These are Infra-red type sensors incorporating advanced and reliable technology. We offer the best quality and well-designed switches that have a distinct advantage of higher sensing distance over the inductive and capacitive type of switches. We use quality raw material and advance design tools for manufacturer and design of our products. These switches are reliable and durable with strong built that performs well in a noisy electromagnetic radiation environment. As an infra-red wavelength is used, it is immune to visible light interference.